Back to Natives Nursery Go Native: Irrigation Modification for Native Butterfly Plants California is experiencing a record drought and homeowners are feeling the pinch. We’re all restricted to watering only two days per week – but with native plants, the correct irrigation, and healthy soil your yard can be more beautiful than ever! California is experiencing a record drought and homeowners are feeling the pinch. We’re all restricted to watering only two days per week – but with native plants, the correct irrigation, and healthy soil your yard can be more beautiful than ever! 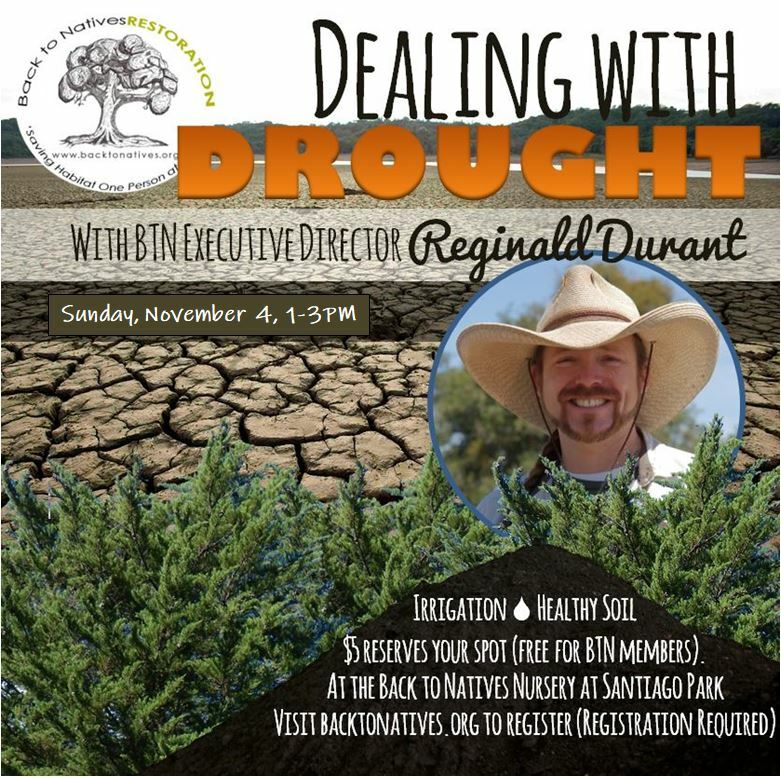 Join Reginald Durant from Back to Natives to learn all about saving water by landscaping with native plants. How to design a new irrigation system for locally native plants, or to modify a currently installed system. California is experiencing a record drought and we’re all feeling the pinch. Watering is restricted – but with native plants and the correct irrigation, any landscape can be more beautiful than ever! Using natives also eliminates the need for pesticides, which harm beneficial insects and other animals, and reduces our exposure to toxic substances. Natives require less mowing, pruning and fertilizing. A well planned native plant landscape even attracts birds and butterflies. Participants will learn why and how to select native plants appropriate for their geographic region, as well as the best practices for designing with locally native plants. We’ll also discuss our favorite irrigation to use with native plants to save the maximum amount of water – micro irrigation. 1. Participants will learn which method of irrigation is most beneficial for native plants, resulting in healthy specimens while requiring the least amount of water. 2. Participants will learn the benefits of and best practices for designing with locally native plants. 3. 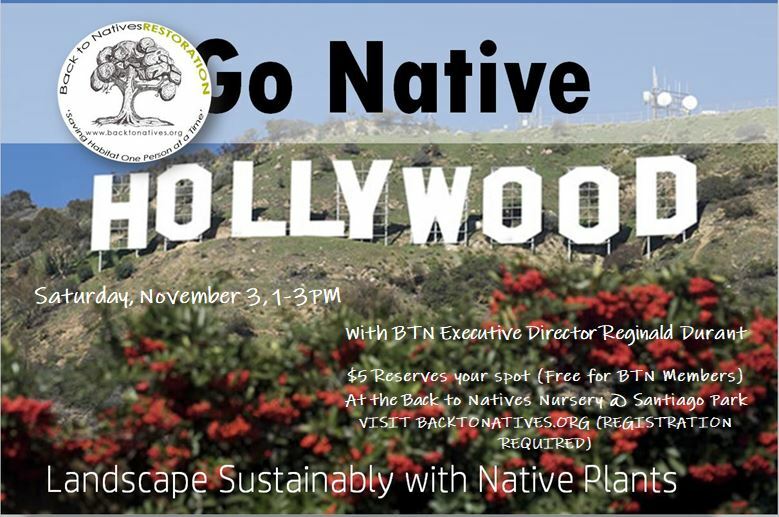 Participants will learn why and how to select native plants appropriate for their geographic region. A plant native to California is not necessarily appropriate for any/all location(s) within the state. Back to Natives has been working at a breakneck pace to grow native plants to supply the demand! Hope you can join us. $5 reserves your spot. Register below.